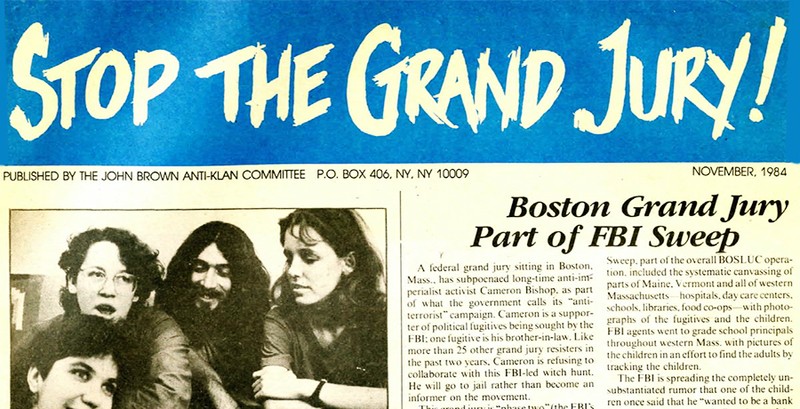 In 1985 I was one of six members of the John Brown Anti-Klan Committee, three women and three men, subpoenaed to a federal grand jury investigating, not our work, but armed actions by comrades who were underground. Following the example of Puerto Rican Independentistas (and most Leftists historically) we refused to cooperate and were for some months political prisoners. But I am otherwise engaged. But l am otherwise engaged. the Irish deep and defiant in Long Kesh.